Stephenie Pang and Sharon Yeo have been good friends for about a decade now. The 23-year-old duo were classmates back in secondary school, and they went on to become schoolmates in junior college as well as in university. But throughout the years, they were never aware of each other’s interest in starting a business. The whole idea to kickstart a business together only transpired when they shared a bus ride to an industry career talk together, and that gave them the chance to talk about their entrepreneurial ideas and dreams. The casual chat gradually progressed into weekly, and soon bi-weekly meetups, during which the two explored their budding business idea. 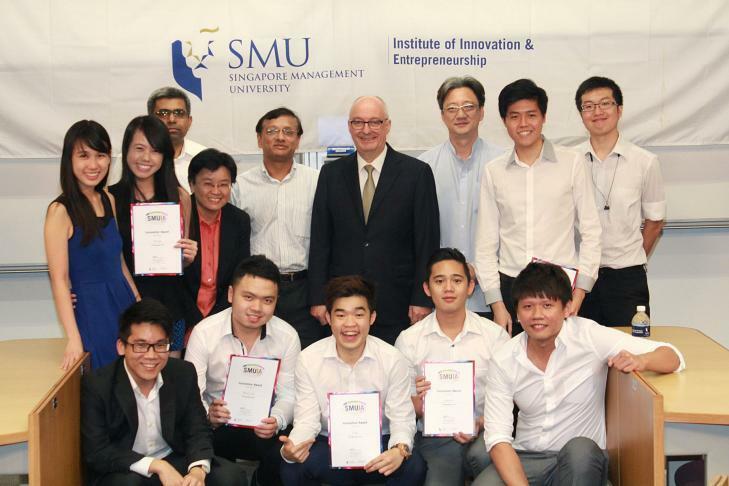 A few months later, they decided to materialise their dreams and managed to secure themselves a spot at the Singapore Management University’s (SMU) Institute of Innovation & Entrepreneurship Incubation Programme. As it turns out, their brainchild Protégé, was shortlisted as one of the five winning business ideas. So, at the tender age of 21, the two girls made their first foray into entrepreneurship. “We registered our company, got ourselves mentors, and won ourselves two innovation and entrepreneurship awards, as well as grants which helped us financially in starting the business,” said Pang. The startup is currently being bootstrapped by the founders, but it has also managed to secure seed funding of S$50,000 from SPRING Singapore and about $15,000 through competitions. Despite receiving job offers from other companies, the two fresh graduates decided to stick to their guns and take the leap to become full-time entrepreneurs. “We saw the value and potential in what we were doing. There is a market gap, and we could see it taking off. And on a personal level, we both believed that this is the best time to pursue entrepreneurship,” said Pang. “There’s another school of thought which believes you should amass the right skills and knowledge in a corporate job before starting your business. That works too, just not for us,” she added. 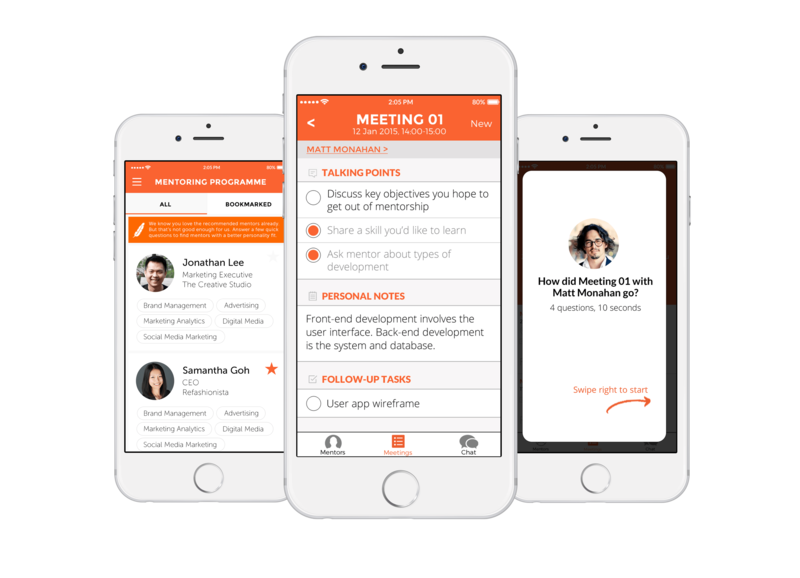 Launched in 2014, Protégé is a business-to-business (B2B) mentorship software that consists of a user app and an administrator’s web portal. The software helps match mentors and mentees in a company based on interests and expertise, and tracks the mentorship progress using data analytics. “We realised that while mentorship is a budding catchphrase in Singapore, many organisations do not have the tools and resources to develop the right mentorship programme. Many internal mentorship programmes are still being run manually which is cumbersome and ineffective,” said Pang. “Protégé helps to facilitate the mentorship process such that all parties can get the most out of it,” she added. In addition to the development of the software, the startup has also partnered with a professional trainer to run customised mentorship trainings for the organisations. 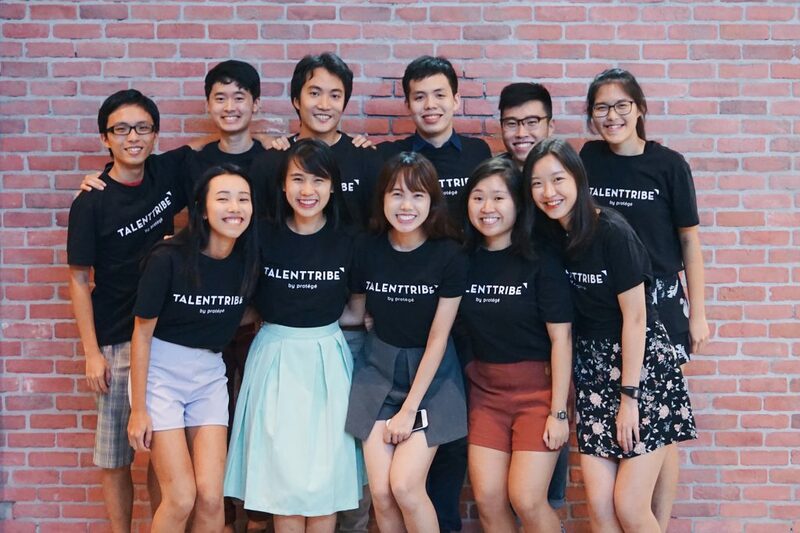 After a year, the startup decided to expand their product line with the launch of TalentTribe, which is focused on connecting millennials with purpose-driven careers. “Our first foray into TalentTribe was in December 2015. Having learnt a lot from mentors ourselves, we simply wanted to run an event where students could come together and receive mentoring by industry professionals,” said Pang. This may have started out as an experiment, but it quickly evolved into something much more. They scaled up really quickly, and that led to the birth of TalentTribe’s inaugural Summit in March last year. The Summit was a five-week conference series consisting of weekly masterclasses, and mentorships for selected undergraduates by eight corporate partners, which include big names such as VISA, Citibank, Keppel, SGX and Burger King. Through the Summit, the duo stumbled upon an actual pain point – they felt the realness of the quarter-life crisis as they realised that many youngsters were unsure about what to do with their lives. “We hear our friends blindly applying for certain companies, only to tell us a few years later that they detest their jobs. As millennials ourselves, we understood the reservations and concerns other young people have these days when finding or deciding on a career, so we decided to act on it,” said Pang. Now that they knew how much millennials value gaining first-hand insight into the company when making their career decisions – and how this was lacking in the market – the two decided to leverage on this untapped opportunity to develop it into an online portal. Launched late last year, TalentTribe is a career discovery platform that brings you a behind-the-scenes look into the company cultures, office spaces, and work life of the employees – even before you apply for a position. They work closely with companies to connect millennials and employers, so as to better engage and attract millennial talent. Through interviews and videos of workspaces, TalentTribe offers users a 360-degree view of individual company profiles in a single website. Users can also view short videos with sound bites from employees across different job functions, seniorities, and genders, to give users a good breadth and depth of perspective. This feature allows them to step into the employee’s shoes and learn more about their typical workday and what their job really encompasses. Essentially, it helps users to visualise what a job at the company will look like so they can make informed career decisions. According to Pang, the portal does not only help users to assess the right career, but it also gives them a deeper understanding about the company so that it can help them formulate better questions and responses during a job interview – and this may just be the key to getting hired. Currently, there are only five companies featured on their site, namely Flow Traders Asia, AXA Insurance, The Learning Lab, TheSmartLocal and Kraft Heinz. Clearly, the portal is in its nascent stages (it’s only 3.5 months old), but Pang claims that the startup has lined up several companies to feature on its site. “We’re working towards the goal of launching new company features every fortnight and there are a number of featured companies that are currently in filming and post-production phase. You can expect to see companies such as The Lo & Behold Group, Justlogin, and some notable start-ups like Toucan and Partipost, listed on our sites real soon,” she added. Besides increasing the number of companies featured, the startup is also working on building TalentTribe into a portal where users can sign on, and explore careers and opportunities that are suitable for them. It’s great to see how much these two young girls have grown their business – out of sheer passion and dedication – but the journey apparently was not all rainbows and butterflies. The reality of running your own business is indeed harsh and they were initially daunted by the idea of starting up their own business from scratch. “There are so many challenges and mind-boggling business decisions we have to face each day, it’s almost hard to keep track. You just take each challenge head on as they come,” said Pang. As such, Pang is extremely grateful to her industry mentors for giving them sound advice on various aspects – from business model validation, to the user interface and user experience design of their product. When asked about the business challenges she faced, Pang said that despite being a Marketing and Finance graduate, the learning curve was steep for her. “Then there’s the refining of the UI and UX of our product, taking in user feedback and real-time data to further refine our product features. The list just goes on. As an early stage entrepreneur, you really have to bao ga liao (do it all),” she said. Another challenge for the business is hiring for the right fit and building the team. This is especially crucial because a strong team contributes to your business success. Pang’s golden advice for aspiring entrepreneurs is to “start with a pain point”; and from there, figure out the business purpose and the problem it’s aiming to solve.